Thai Airways International (THAI) president Sumeth Damrongchaitham on Monday said the ballots from advance voting by Thais in New Zealand had arrived at the carrier’s cargo centre on Saturday evening, but no one came to pick them up until the morning of the election. According to election laws, ballot papers cast in advance voting overseas will be deemed invalid if they are not delivered to their intended polling stations for counting before the general election closes at 5pm. Sumeth said his office had informed the Foreign Ministry in Bangkok that the ballots, contained in a diplomatic pouch, would arrive at the THAI cargo centre at 8.50pm on Saturday and that the ministry could send officials to pick them up from 10pm to 10.30pm. “However, our staff members were informed that the officials could not come to claim them that night. They said they would come in the morning. They came the next day [election day] and got them at 7.30pm,” he explained. 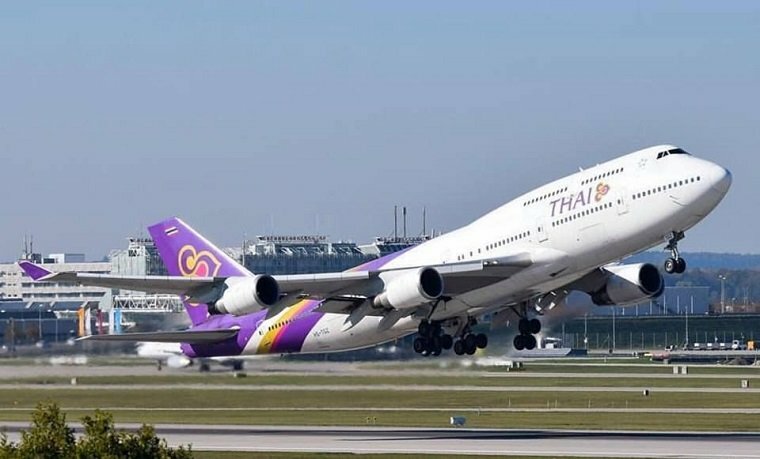 THAI, the national carrier, is the latest agency coming out to defend its part in shipping the ballots from New Zealand to Thailand. The Thai Embassy in Wellington, which had organised the New Zealand advance voting for the election in early March, issued a statement detailing its procedures in shipping the ballots, in order to show that it had held the advance voting according to the law and shipped them out of New Zealand so that they arrived in Thailand in good time. “The shipping problems are beyond our control,” the statement read. The agencies’ comments are in light of the Election Commission stating that the ballots from New Zealand arrived late, after the counting had started, which could render them void. The electoral agency will meet on Tuesday to discuss the problem. The electoral agency will meet before Tuesday to discuss beforehand who they can shift the blame onto. They﻿ came the next day [election day] and got﻿ them at 7.30pm,” he explained. Seems sloppy all round. I think the embassy or TG has dropped the ball here. I note the former blaming the latter, who is now trying to shift blame to the FM. And, of course, so predictable. A proper fluster cluck!! I reckon this went exactly to plan, no need for the EC to get these votes in as not one of them will be for the numpties running the show. "contained in a diplomatic pouch"
I wonder if someone at the Thai Embassy had an inkling of which party had the most votes?? An off-topic troll post has been removed. Someone needs to be sacked !!!! Extreme Thainess, nobody gives a rats a rse. obviously, they did not want Thai's who can live and function outside of Thailand to use their brains to have a vote as the army supported party would be out on their arse.